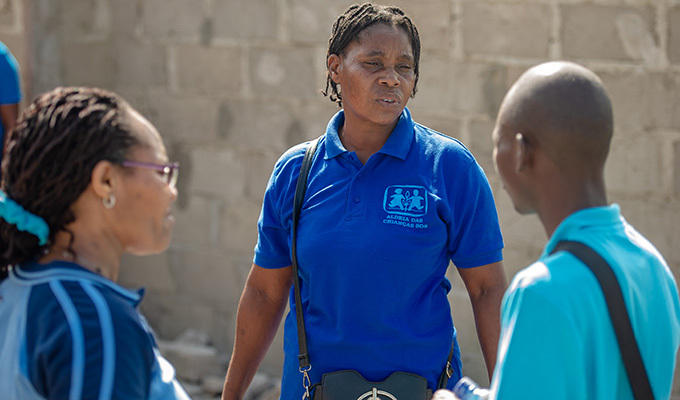 Recovery efforts in Beira must not overlook the psychological needs of those who experienced Tropical Cyclone Idai, says an expert working with SOS Children’s Villages. What was your experience when the cyclone struck? My house is in the second row on the beach and so the cyclone hit us with full force. By 9 o'clock in the evening it began to get serious. The power went out and it was completely dark. Then we heard windows breaking in the house, and parts of the neighbor’s roof were blown into our garden. It was loud. That was extremely disturbing. You are so at the mercy of the storm. The phone doesn't work, you can't call for rescue. You count every minute. Until midnight it was like that. Then silence. The eye of the cyclone had reached us and we knew it would come back. After two hours it returned, this time from the other side. We were panicked, exhausted. When it was finally over at 6am we went upstairs. There was water everywhere. Was this traumatic for you? Yes. When the storm subsided, I was completely exhausted but could not sit still. At 9 am we made breakfast. I can't remember if I ate. Then we went outside. You knew that everything would be destroyed, but you are still not prepared for the sight. Everything we knew was broken, even stable houses. It was like the apocalypse. I could only think of the children, my colleagues, and the poor families in their huts. I was sure there would be many deaths. 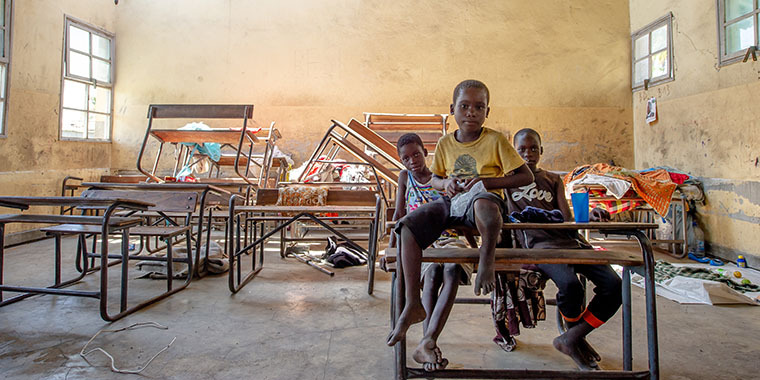 What effects does a disaster like this have on children? Today I met a little boy. He had nightmares and was pretty upset. He keeps seeing mango trees falling on his house. When he told me that, he was laughed at. Here I had to intervene and explain to him that his reaction was completely normal. That it is normal to be afraid and cry when something like this happens. Negative emotions are simply laughed away here in Mozambique. People can't handle it. Life here is hard. It's about survival every day, there's no time to calm and re-assure a child. For his grandmother fear is not acceptable - not even for herself. Another woman I visited lost a baby during the storm. The child died in her arms and she also told me that 14 of her family members died. She reacted completely differently. She represses, lets nothing get to her. She compensates by taking care of others. This gives her the feeling of regaining control. But in the end she is in shock. Her strength and her coping strategy is to help others. But what about her trauma? She seems strong but there is so much pain. The real consequences often come when the storm subsides. At one point she might collapse. But it doesn't have to be that way. What can you do to help someone in this situation? It's not my job to tell her, "Wait, look at your trauma first!" My job is to reinforce her strengths and coping mechanisms. In this phase we have to give hope. It would be very dangerous to talk to those affected about what they have experienced. We could very easily re-traumatise them by exposing them to the situation again. People must first understand for themselves what has happened and begin to process what they have experienced. We must be there to morally strengthen and observe. Many will be able to cope on their own. The gravity of the loss is irrelevant, by the way. Think of it as an injury. Before you go to the doctor, you see if it heals on its own. A doctor only makes sense when the wound is in danger of becoming infected. In the second phase we must help the children and families to find their strengths. Those who find strength in the community should be encouraged to go out, share with others, do something. Others need physical exercise. They need to do something actively. Build the house, plant plants or even do sports. Only after quite a while will it be possible to identify those who run the risk of developing a PTSD [post-traumatic stress disorder]. That will not be the majority. But we must be vigilant here, train our colleagues well so that they recognise the signs, and react accordingly. What should the priorities be at this point? Food and help with reconstruction are extremely important. But at the same time we must not forget the psychological support. Otherwise many of the families will not be able to continue to care for their children or their livelihood. Here we need to coordinate, train our colleagues well and locate treatment centres. 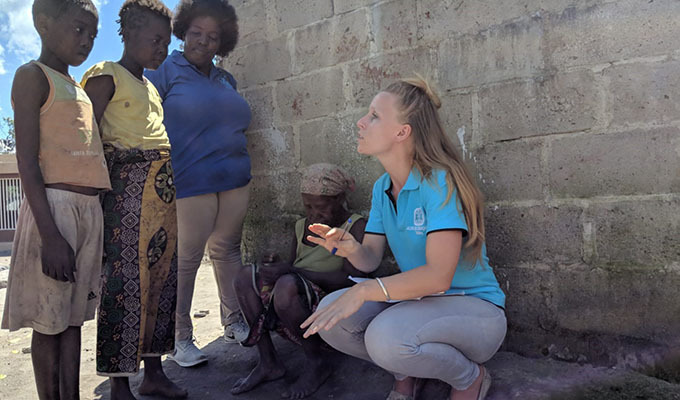 *Norah Brinkerhof works with SOS Children’s Villages Mozambique in partnership with HORIZONT3000, the Austrian Organization for Development Co-operation. Katharina Ebel works for SOS-Kinderdörfer weltweit/Hermann-Gmeiner-Fonds Deutschland e.V.